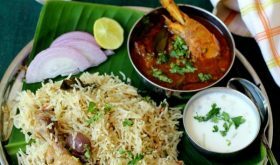 Urad dal recipe is a tasty North Indian style split black gram preparation served with rice, roti and parathas. Our New Year lunch spread included North Indian style dhuli urad dal that I served with masala paratha, tawa pulao and boondi raita. Urad dhal in english is called split black gram and also goes by the names, dhuli dal, dhuli urad, maa ki dal, white lentils or white urad dal. 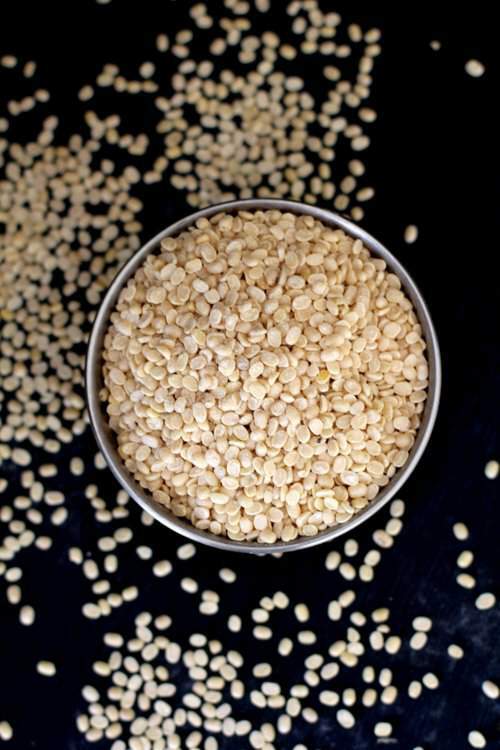 Dhuli urad dal is a popular lentil among regional cuisines in the hindi speaking states and other North Indian regions like Punjab. Rich in dietary fibre and protein, black gram when cooked is sticky and is a heavier dal compared to tur dal and moong. 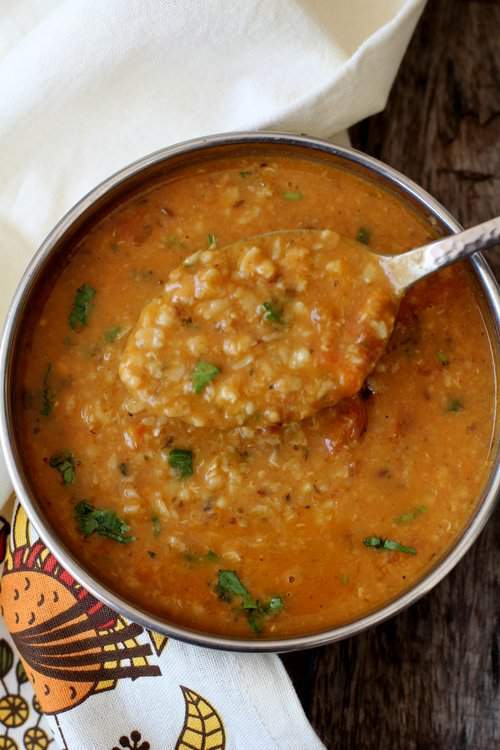 Urad dal does take time to cook and when slow cooked over wood fire it has a smoky addictive flavor. I slow cooked the dal over wood fire since I love the smoky flavor which is reminiscent of dabha style dal. The method of cooking dhuli dal over wood fire helps the dal cook well, hold shape with no slime. Alternately, you can pressure cook the dal. Dhuli urad does become slimy after cooking and to reduce the slime, I suggest you dry roast urad dal on low flame for five to six minutes before pressure cooking it. Take care that the udad dal does not get either under cooked or mushy. 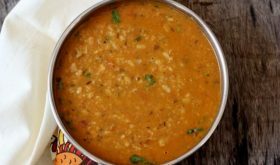 Recipe of urad dal is straightforward, easy to make and is very close to Punjabi sookhi dhuli dal, a dry saute preparation. 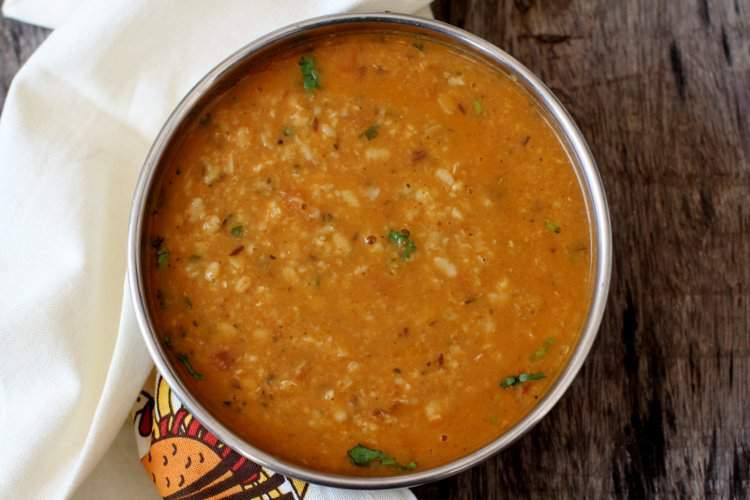 There are a few variations to the basic urad ki daal with each version having an addictive, unique flavor. If you do not want to use garlic, replace it with asafoetida. Ghee or clarified butter is preferred in the tempering as it elevates the flavor of the urad ki dhal by leaps and bounds. 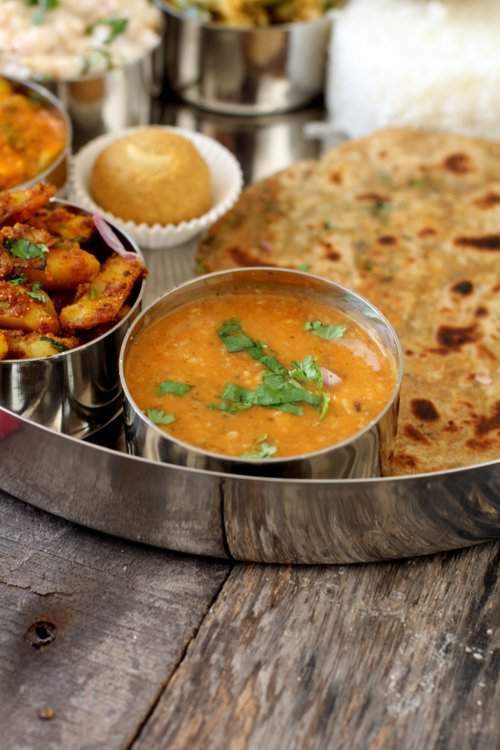 With warming flavors, urad dal made for a perfect vegetarian meal along with masala paratha and aloo ke gutke. 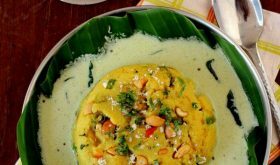 If you are looking out for tasty white urad dal recipes, this comforting urad dal recipe fits the bill. A simple, healthy and wholesome everyday North Indian style urad ki dal that makes for a comforting side with warm rotis or paratha. In a pressure cooker, add the soaked and drained urad dal, 2 1/2 cups water, turmeric powder, half of the minced ginger, one slit green chili and salt and pressure cook upto 2 whistles. Alternately, you can add the urad dal in an earthen pot and cook over stove top or wood fire. Add at least 4-5 cups water and bring to a boil. Reduce flame and slow cook till the dal turns soft yet hold shape. In a small pan, add ghee and oil. Once it turns hot, add cumin seeds and allow to splutter. Add the kasuri methi and finely minced garlic and saute for a few seconds. Add the remaining minced ginger and green chilies and mix. Add red chili powder and mix. Add chopped tomatoes and saute for 6 mts. Immediately add this to the cooked dal and mix. Add garam masala powder and allow to simmer on low flame till the desired consistency is achieved. Adjust salt if required. Turn off flame and remove to a serving bowl. 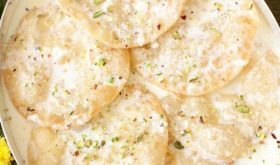 Garnish with chopped coriander leaves and serve with roti, pulka, paratha or rice. You can add a chopped onion after step 3. Saute onions for 3 mts before adding spice powders and tomatoes. For a more garlicky flavor, increase garlic cloves. 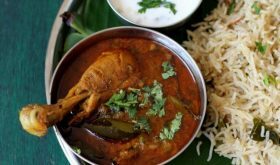 Garlic can be replaced with 1/2 tsp asafoetida. By Sailu Published: January 7, 2016 Urad dal recipe, a tasty North Indian style dhuli maa ki dhal made with husked split black gram. Recipe of urad dal is easy and best among urad dal recipes. 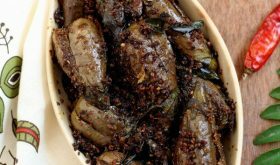 A healthy and tasty side dish . Great introduction to this dal. I never really liked cooking it because it took too long and because of the taste. But you are right when you say over night soaking and slow cooking does the job . This dal is delicious when eaten at the gurdwara (ghee and slow cooking over a hot flame). Thank you. Hey I do enjoy dhal do it different. Maybe because we didn’t learn all recipe… I will try this way next time. Let you know how it turns out… As a Jamaican I love trying different food.